High-margin pickup trucks drive GM profit, shares rise - SABC News - Breaking news, special reports, world, business, sport coverage of all South African current events. Africa's news leader. The assembly line at the General Motors Flint Assembly Plant. General Motors Co on Wednesday swung to a quarterly profit thanks to high-margin pickup trucks and crossovers in the U.S. market plus cost cutting and maintained its full-year 2019 earnings forecast, sending its shares up nearly 4 percent in pre-market trading. All of the No.1 U.S. automaker’s profit came from North America, where those lucrative models helped overcome an overall drop in the number of vehicles it sold. The company’s operations in China and South America added nothing to the company’s bottom line in the quarter. GM sold fewer vehicles in China in the fourth quarter and the company said that weak currencies in South America had also impacted its results. “Our outlook for China overall is for the auto industry to be flat year over year,” Chief Financial Officer Dhivya Suryadevara told reporters. Earlier Wednesday, Toyota Motor Corp posted as lightly higher profit as demand for its bread-and-butter car models from cost-conscious Chinese buyers helped offset weak North American sales of its marquee sedan models such as the Corolla and the Camry. U.S. new vehicle sales are expected to drop in 2019 due to rising interest rates and competition from a surfeit of cheaper,nearly-new used vehicles on the market. The No. 1 U.S. automaker reported fourth-quarter net income of $2.1 billion or $1.40 per share, versus a loss of $5.2 billion or $3.65 per share a year earlier. Excluding one-time items, GM earned $1.43 a share. Analysts polled by Refinitiv IBES had expected earnings of $1.22. GM’s pre-tax margin for North America was 10.2 percent, down from 10.7 percent a year earlier. 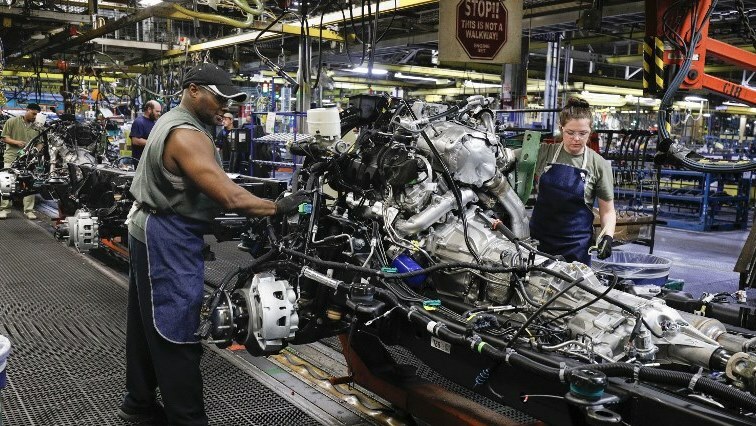 The automaker said that 46,500 hourly U.S. workers would receive a profit-sharing payment of up to $10,750 each. GM on Monday said it was starting to cut about 4,000 salaried workers in the latest round of restructuring announced in November that will ultimately shrink its North American white-collar workforce by 15 percent. GM has received a great deal of political blow back after announcing late November that it would close five plants in North America that mostly produce less-popular sedan models. The company maintained its full-year 2019 adjusted earnings forecast of between $6.50 and $7 per share. In pre-market trading, GM shares were up 3.9 percent at$40.85. This entry was posted on 06 Feb 2019,04:37PM at 4:37 PM and is filed under Business, News, Homepage Latest Stories Slider. You can follow any responses to this entry through the RSS 2.0 feed. Both comments and pings are currently closed.